97 degrees and falling fast! 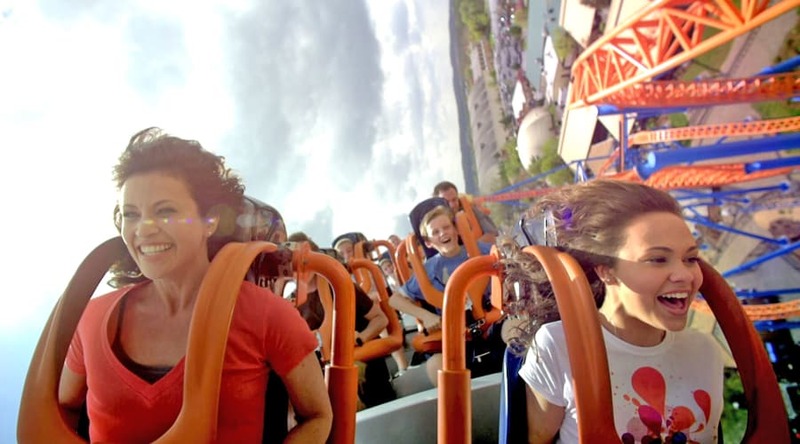 Climb the steep, 121-foot lift hill before plummeting down the signature Fahrenheit® coaster 97-degree drop. 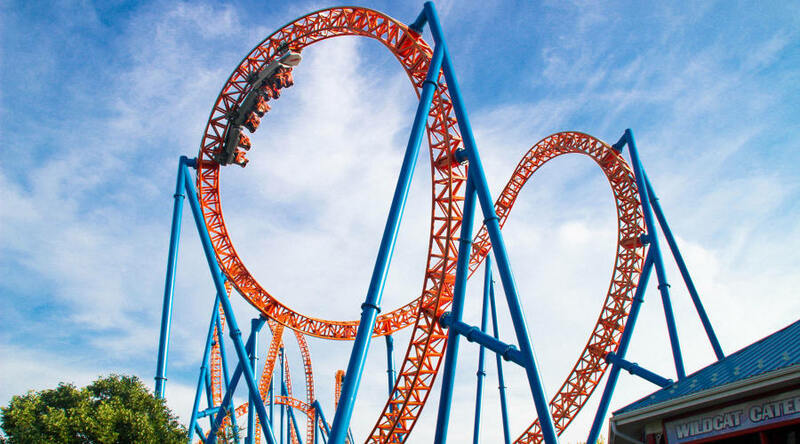 And that's just the beginning, next, fly through a memorable course of loops, corkscrews, dives, and plenty of thrilling airtime. 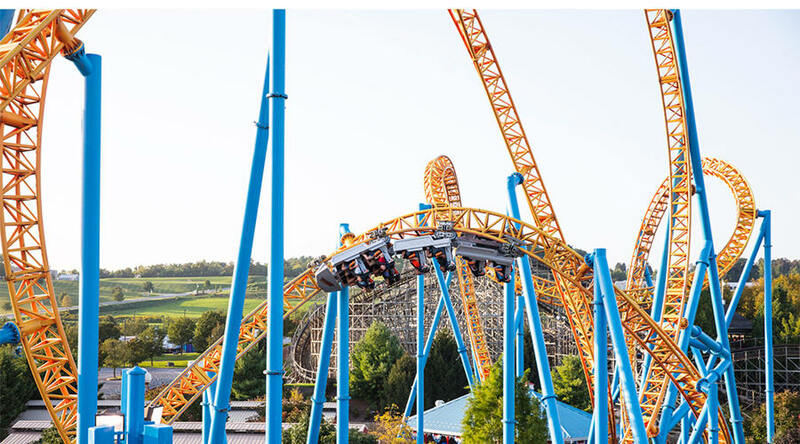 Hersheypark suggests that if you plan on riding rides to please bring into the park only items that can be safely secured. Loose articles may not be taken on Fahrenheit. Long hair, head scarves and long jewelry must be secured.